— Only a little more than half (57 percent) of the women surveyed said they knew the amounts and terms of their spouse’s life insurance policy; conversely, a higher percentage of men (69 percent) knew the amounts and terms of their spouse’s policy. Only 58 percent of couples with children knew the amounts and terms of their spouse’s life insurance policy, compared to 67 percent of those without children. — Almost half (49 percent) of the women surveyed said their ability to make mortgage payments, save for college tuition and pay bills would be adversely affected by the death of their spouse, compared to 37 percent of men. — Almost one-third of the women (32 percent) surveyed said they would be unable to find important financial documents in an emergency, compared to 21 percent of men. Among couples, 30 percent of those with children would be unable to find these documents, compared to 23 percent of those without children.1“Life Insurance Shortfall Hurts Women More, Study Finds,” on the NerdWallet website, August 25, 2015, https://www.nerdwallet.com/blog/insurance/life/shortfalls-impact-women-more-study-finds/, accessed September 2016. These statistics are concerning, particularly because the most ill-prepared groups — women and couples with children — are the ones that are more likely to be negatively impacted by a premature death in the family. Regardless of your current situation or your plans for the future, nobody is free from the unexpected. Therefore, it’s important to educate yourself about life insurance and coverage options now, so you can avert a potential crisis down the road. Let’s take a look at each of the “weakness areas” outlined above and discuss some ways to improve. Communication is key in any relationship, especially when you’re talking about something that could derail a lifetime of preparation: the premature death of a spouse. Spouses that neglect to discuss and coordinate their life insurance policies are likely to find out that one or both of them don’t have enough coverage until it’s too late to take action. Therefore, you and your spouse should make it a priority to revisit your life insurance coverage and beneficiaries at least once per year, or more often if a significant life event occurs (for instance, a new child, a new home purchase or a salary increase), so you can confirm that the policy details still agree with your estate plan. Out of all the issues identified in the NerdWallet survey, this finding is the most concerning: in 2014, the Centers for Disease Control and Prevention (CDC)’s National Center for Health Statistics (NCHS) found that women are living almost five years longer than men, with the majority of women living up to 81.2 years, compared to 76.4 years for men.2Elizabeth Arias, Ph.D., “Changes in Life Expectancy by Race and Hispanic Origin in the United States, 2013-2014,” Centers for Disease Control and Prevention (CDC)’s National Center for Health Statistics (NCHS), Data Brief No. 244 (April 2016). Still, almost half of the women who responded to the NerdWallet survey said they would not be able to cover necessary life expenses if their spouse passed away. Life insurance needs vary by couple; however, it is important to consider both spouses’ salaries when determining exactly how much coverage to purchase. Historically, women have earned lower salaries than men, and the trend remains true today — just last year, women made roughly 20 percent less than their male counterparts.3Ariane Hegewisch and Asha DuMonthier, “The Gender Wage Gap: 2015; Annual Earnings Differences by Gender, Race and Ethnicity,” Institute for Women’s Policy Research (IWPR), No. C446 (September 2016). Though this gender wage gap can be attributed to a number of external factors — for instance, many women have fragmented work histories due to child and family-care responsibilities — it has a significant effect on women’s financial health following the death of a spouse. For example, if a higher-earning husband passes away, leaving behind a wife who earns less, she loses a larger percentage of household income and is affected more dramatically, compared to a wife who passes away and leaves behind a higher-earning husband. In today’s world, it is becoming increasingly common for women to be the primary wage earners in their respective households, despite the aforementioned wage gap. A record 40 percent of all households with children under 18 include mothers who are either the sole or primary source of income for the family, compared to only 11 percent in 1960. Of these “breadwinner moms,” 5.1 million (37 percent) are married mothers who have higher incomes than their husbands, and 8.6 million (63 percent) are single mothers.4Wendy Wang, Kim Parker and Paul Taylor, “Breadwinner Moms,” Pew Research Center, May 29, 2013, http://www.pewsocialtrends.org/2013/05/29/breadwinner-moms/, accessed September 2016. This new reality has significant estate planning and insurance implications. Regardless of which spouse has the higher salary, it is especially important for the higher-earning member of the family to have sufficient life insurance coverage, due to the fact that a larger percentage of the couple’s joint income is at risk if he or she passes away. It is also imperative for single parents to have life insurance coverage and to make provisions for child care in the event that they pass away. It’s often challenging for many couples to determine the amount of coverage they should have on one another (it’s not the most pleasant topic of discussion, either). There are several ways to determine life insurance need, some of which are more accurate than others. A rule of thumb that many people use is multiplying an individual’s salary by 10. While this method won’t necessarily account for your unique financial situation, it can give you a ballpark estimate of how much coverage you and your spouse should have. There is another strategy that can help you calculate a more detailed, accurate estimate of your life insurance needs: first, add up all the cash you think you would need to cover spending for the rest of your working career, including living expenses, tuition, funeral costs and child care costs. Then, multiply that figure by the number of years of expenses you expect to cover if your spouse passed away, and subtract your existing liquid assets and current life insurance coverage from that number. This calculation can help guide both your and your spouse’s individual coverage needs. 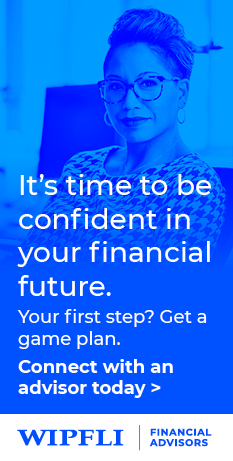 You might also consider working with a financial planner to prepare a detailed budget incorporating your current living expenses and a projection of what those expenses may be in the future. The financial planner will analyze how your death or your spouse’s death could impact your financial situation, accounting for a change in expenses at the time of death. Contrary to what you might think, expenses typically do not drop by 50 percent after the death of one spouse, due to the inflexible nature of most substantial expenses such as mortgage payments, home maintenance costs and college tuition costs. In most cases, expenses will only decrease by approximately 20-25 percent after a spouse’s death. If you have children, you should also consider how your death or your spouse’s death might impact child care costs, as this can alter expenses dramatically. Typically, child care costs will rise after the death of a spouse, although this depends on every couple’s unique situation. Through this analysis, the financial planner will advise on the amount of insurance coverage that will allow the surviving spouse to maintain the projected level of expenses over the rest of his or her lifetime; this is the insurance need. Then, the planner will subtract out any current life insurance coverage that is offered by your employer or your spouse’s employer; this figure is the life insurance shortfall. In most cases, the life insurance need will be higher for the spouse who earns a higher salary. Therefore, if a couple is unable to purchase life insurance on both individuals, they should prioritize their needs and purchase insurance on the higher-earning individual. While there may be an insurance need if the lower-earning spouse passes away, the impact will not be as dramatic. Again, no situation is the same, so it’s important to seek out the assistance of an experienced professional when determining exactly how much coverage you and your spouse should purchase to suit your needs. The NerdWallet study I referenced above shows that almost one-third of women and couples with children would be unable to locate these documents in case of an emergency; therefore, it is important that you and your spouse make it a priority to compile these documents in one location for easy access. You might consider storing these essentials in a safe deposit box at a local bank within a convenient distance from your home. Make sure that your spouse and trusted family members know where the box is located and how to access it. If you feel more comfortable storing this information in your own home, consider purchasing a fireproof and waterproof safe. Again, make sure that you, your spouse and other trusted family members know where the safe is located and how to access it. Electronic data is an area that many couples overlook, but is extremely important in today’s world. Like many people, you probably conduct most of your transactions online; if you do, keep a list with all of your login data in a secure location. Review this list periodically and update it as things change. A good time to review and update all of these documents is early in the year when you’re already gathering data for tax preparation. While the findings in the NerdWallet study are troubling, a major takeaway is that couples need to spend more time thinking about their loved ones’ needs and prioritizing their financial safety if an unexpected event occurs. Take the time now to review your current life insurance coverage, purchase more if needed and compile important documents before it is too late. Need help determining your coverage needs? Cassandra (Latsios) McNulty, MSTFP, CFP®, is a Financial Advisor with Wipfli Financial Advisors in Media, PA. Cassandra specializes in financial, tax and retirement planning for high-net-worth investors, and also advises retirement plan sponsors and participants.